Why are There 180 School Days in a Traditional School Year? When you’re a kid, the only thing better than a snow day is summer vacation. It means freedom from classes, early mornings, and dreaded homework. It also means long, lazy, warm summer days with friends and family. However, the 180-day school model has been questioned by those who wonder if having summers off from school might be detrimental to learning. After all, the amount of information children are required to absorb has substantially increased over the years. So, what are the pros and cons of year round vs. traditional school calendars? An agrarian tradition: The traditional 180-day school year was originally based on the agrarian calendar. In the past, most families lived on farms and children were needed at home to help out during the busiest times of the year: growing and harvest seasons. Too much strain: Additionally, in the early 20th century, people thought too much schooling was bad for children. Many believed that children couldn’t handle the mental and physical tribulations of year-round classes. Too darn hot: School buildings were unbearably hot in the summer. The current situation: Fast forward to 2017. We have state-of-the-art air-conditioning, and children are no longer needed as farm labor. Yet, the number of school days in a year has not increased in most U.S. schools. Some countries have year-round schooling, and even longer days. Poor test scores: U.S. children recently scored poorly on the Third International Mathematics and Science Study in comparison to countries that have more than 200 school days a year. Extra days add up: At first glance, those extra days may not seem like much. However, over the course of 12 years, that additional learning time adds up. No one will argue against children getting the best possible education. But, is extending the school year truly in the best interests of our children? Family time: Summer vacation allows families to spend extended quality time together. It’s an opportunity for parents to do things with their children that they don’t have time for during the school year. Extra classes: Many students enroll in summer school. For ambitious students, summer classes present an opportunity to learn new material and to get ahead. Summer school also allows students to retake difficult classes, or make up work from missed time. Real world education: Summer jobs can be an important part of learning and personal growth for students. Summer is a good time for kids to learn the value of hard work at a part-time job. Extracurricular activities: During the summer months, kids have a chance to enroll in summer camps to learn and develop skills like music, art, and sports. It’s also important to remember that schools and taxpayers benefit from having a summer break. They save money on expenses such as transportation, food, utilities, and more. Teachers get a much-needed break to focus on their own family or even take additional summer classes for professional development. Many countries around the world have more school days than the United States, although there are year-round schools available to American parents who prefer this model. Educational experts continue to debate which type of calendar is best. Some believe that the school year is not what needs be changed in the U.S., but rather the school day, and that the solution is to revamp the school day in order to maximize the time children spend at school. 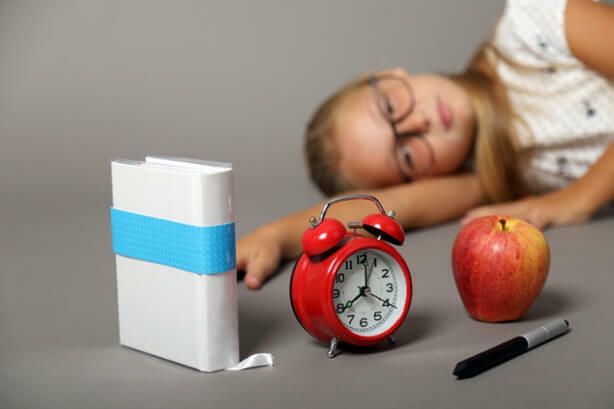 Regardless of whether you believe we need more school days or not, you probably recognize the need for improved education in this country, and the balance between learning and relaxation time for children.